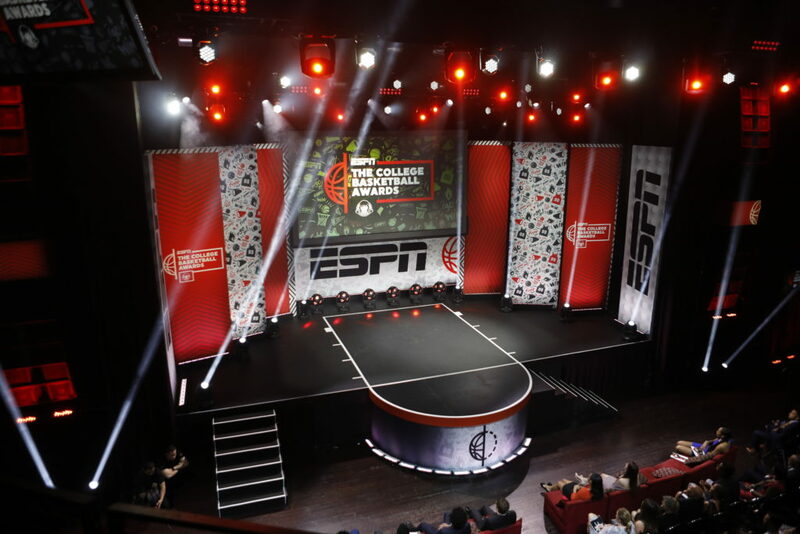 The 2018-19 college basketball season will officially conclude on Friday, April 12, with the College Basketball Awards Presented by Wendy’s, live at 8 p.m. ET on ESPN2. The 90-minute show, taking place at The Novo by Microsoft in downtown Los Angeles, will feature the John R. Wooden Award presented by Wendy’s (Player of the Year – Men), John R. Wooden Award presented by Wendy’s (Player of the Year – Women) and John R. Wooden Award (Legends of Coaching), as well as five Basketball Hall of Fame positional awards – the Bob Cousy Award (Point Guard of the Year), Jerry West Award (Shooting Guard of the Year), Julius Erving Award Presented by Daltile (Small Forward of the Year), Karl Malone Award (Power Forward of the Year) and the Kareem Abdul-Jabbar Award (Center of the Year). Host Maria Taylor, with analysts Jay Williams and Chiney Ogwumike will interview winners, present awards and look back at some of the season’s best moments. The show will feature a fast-draw voiced by college basketball analyst Sean Farnham, as well as player highlight packages of each of the finalists for the men’s and women’s Wooden Award. Boxing analysts Tim Bradley and Andrew Ward will also show some of the athletes how to throw a punch. Hall of Fame players Julius Erving, Kareem Abdul-Jabbar, Karl Malone and Jerry West will be on hand to present their respective awards. Sean Elliott, celebrating his 30th anniversary of winning the Wooden Award (1989) during his time at the University of Arizona, will also be on-hand to present this year’s award. Attendees include: RJ Barrett (Duke), Rui Hachimura (Gonzaga), Ja Morant (Murray State), Grant Williams (Tennessee), Zion Williamson (Duke), Cassius Winston (Michigan State), Napheesa Collier (UConn), Asia Durr (Louisville), Megan Gustafson (Iowa), Sabrina Ionescu (Oregon) and Teaira McCowan (Mississippi State). Head coaches expected to attend include Rick Barnes (Tennessee), Lisa Bluder (Iowa), Kelly Graves (Oregon), Mark Few (Gonzaga), Matt McMahon (Murray State) and Jeff Walz (Louisville). Oklahoma head coach Lon Kruger will receive the 2019 John R. Wooden Legends of Coaching Award™ from his former player at Kansas State and current UTSA head coach Steve Henson. Kruger is entering his ninth season at Oklahoma, where he is 160-105. He is the first Division I coach to take five different schools to the NCAA Tournament. Wendy’s Fan Jam at The College Basketball Awards will kick-off the day’s festivities with a free-to-the-public festival at the Xbox Plaza at L.A. LIVE in downtown Los Angeles (11:30 a.m. PT). The afternoon will be jam packed with entertainment and fan participation opportunities as well as the presentation of the John R. Wooden High School Players of the Year presented by Wells Fargo for the CIF Division. The Los Angeles Police Department and Los Angeles Fire Department will battle it out in a basketball game, and later on the John R. Wooden Award Men’s and Women’s Player of the Year finalists and Basketball Hall of Fame’s College Basketball award finalists will also coach two youth basketball games. Chet Buchanan of 98.5 KLUC Las Vegas will lead a Coach Conversation with John R. Wooden Legend of Coaching recipient Lon Kruger, followed by slam dunk shows, youth drill team and college dance team performances. Fans in attendance will receive free Frosty samples as well as the chance to win prizes, including tickets to The College Basketball Awards Presented by Wendy’s. A full list of the winners and accompanying images will be released immediately following the telecast and available at espnpressroom.com.